This is the 2nd installment of the “Window Tinting – 12 Things You Should Know Before Buying” eBook, which is available as a free download. Residential window tinting in Cape Coral is a way to defend the health and comfort of you and your family. Excessive exposure to direct sunlight can be very detrimental. It can cause eye damage, as well as premature aging through deterioration of the skin, and even an increased risk of developing skin cancer. Who thinks to wear sun block inside their home or office? It’s hard enough to remember to put it on when you are going out! Most people don’t think about it when they are inside their own home or office. However, with only glass as a barrier between you and the sun’s harsh ultraviolet rays, you are still susceptible to damage. But don’t fret! There is a simple way to protect your family from the the sun’s damaging UV rays when you are indoors, without having to apply sunscreen every time you walk into your living room. Having your windows covered with a residential window film, applied by professional window tinters, will allow you to enjoy a sunny room without the damaging effects. 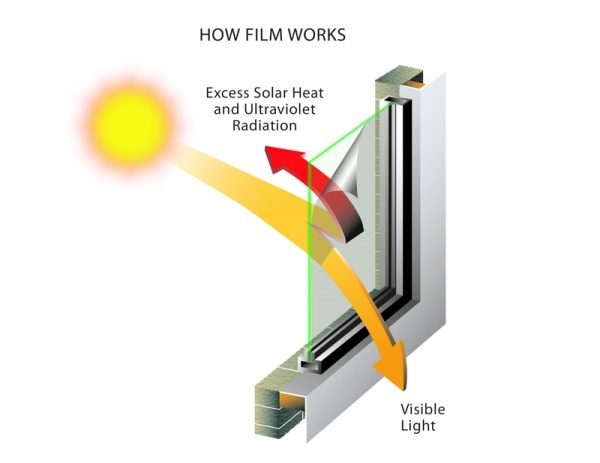 Window films can reduce the sun’s UVA and UVB rays by over 99%. Don’t increase your chances of getting skin related health problems when you can easily prevent it with something so simple. Save your sun exposure for the outdoors! #1: What is Vista Window Film and How Does it Work? This is the 1st installment of the “Window Tinting – 12 Things You Should Know Before Buying” eBook, which is available as a free download. In the beginning, the command was given to “let there be light”. Shortly thereafter, some very wise humans said, “let there be tint!” We realize that, as human beings, we need sunlight to function and survive. It provides us with warmth, visibility, and photosynthesis. However, sometimes the amazing power of the sun needs to be toned down just a tad!